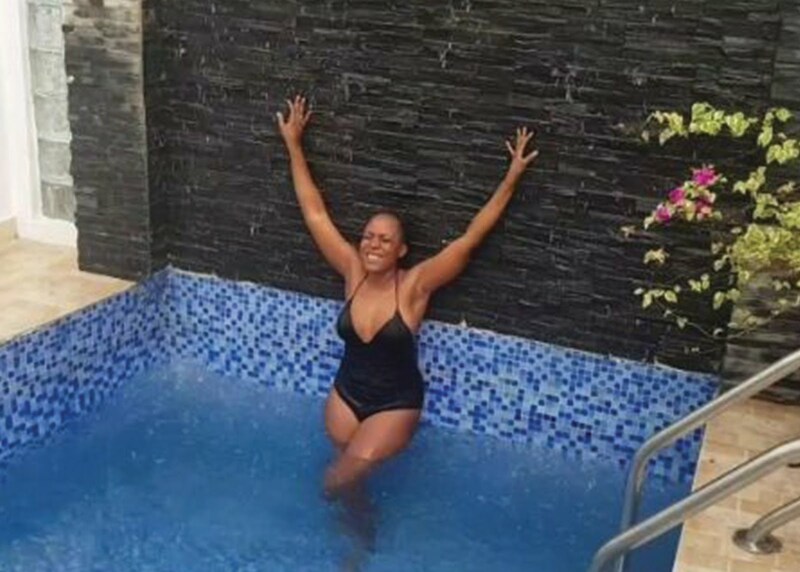 So Linda Ikeji Can't Swim? Lol She Is Getting It Right Guys, Watch This Video. I actually thought it was a joke that aunty Linda can't swim lol. Trust me she will be good as time goes on. Okay not all women you see out there that can actually swim but she is this kind of Lady that is inspiration to herself when it comes to doing things that one has never done before. If you are a Lady and you find it difficult to swim in your backyard pool, you better learn this Linda simple steps and trust me you will have it done within a short-while. Follow this link and watch how you going to get those steps from her practices with the bikini in her swimming pool.